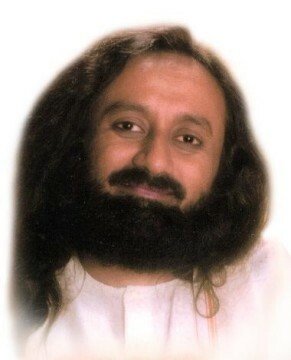 Gurudev, sometimes I feel guilty for not feeling guilty. If I don’t feel guilty will the law of karma have any effect? You don't need to worry about it. You don't have to force guilt on yourself. Actually the case is, deep inside you are feeling guilty. But you are trying to brush it off, and this is what the problem is. If you really don’t feel guilty, you will not feel guilty about not feeling guilty at all. It is because you are feeling a little guilty, and you are trying to push it away, which is creating a conflict in you. So what you need to do is, simply accept it. Accept the mistake and whatever you need to do for remedial measures, you do it. Once you accept the mistake and want to do some remedial measures, then you will find peace within yourself. But if you brush off the mistake and act as if it never happened, or you didn't do it, it is then that the prick starts from within. So the first step is to accept, and then to do some remedial measures. That is it, then it is done. 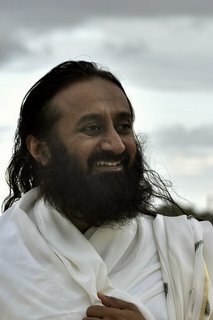 Gurudev, would you recommend that I prepare for my goals, or should I just go with the flow? Both. You cannot be just say that I will go with the flow. At the same time you cannot be stuck with a program you made one. Both together are necessary for growth. You should have a program, you should put your full effort, and then you should also be able to adopt to the situation. 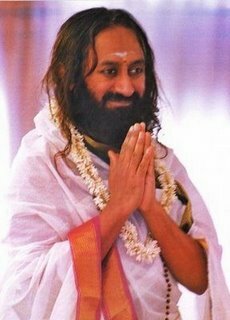 Gurudev, you say, 'Don’t expect anything', but aiming for something is also like expecting. What is the difference? No, I am not saying that you should not expect anything at all. We only say thatexpectation reduces joy, that is all. It is a very clear statement. You can have less joy sometimes, no problem. Sometimes even that is essential. Gurudev, have you seen God? How does he look like? Exactly like you. You are made in the image of God. Why does Shanmukha (Karthikeya) have six heads? So that he can recite all the Shad Darshanas (six Hindu philosophies) at once. Six faces - this has a significance. We say, 'The four directions', North, South, East and West. Brahma has four faces, which means that, he gets knowledge from all the four directions. But Karthikeya is special, he has six faces. Sixth face is an indication of the sixth sense. It can also be interpreted as, he get knowledge from all the four directions and from above and below. In this way, you can interpret it in any manner. Then there are six imperfections (vasanas) which trouble the human mind. Karthikeya is there to remove these six imperfections, i.e., Kama (lust), Krodha (anger), Lobha (greed),Moha (attachment), Ahankar (ego), and Matsarya (jealousy). These six imperfections are removed by the six faces of Karthikeya. These are the six enemies, and these six enemies are eliminated by the six faces of Karthikeya. These are the six Vedangas and the six Upangas, and Karthikeya is a symbol of imparting this knowledge.